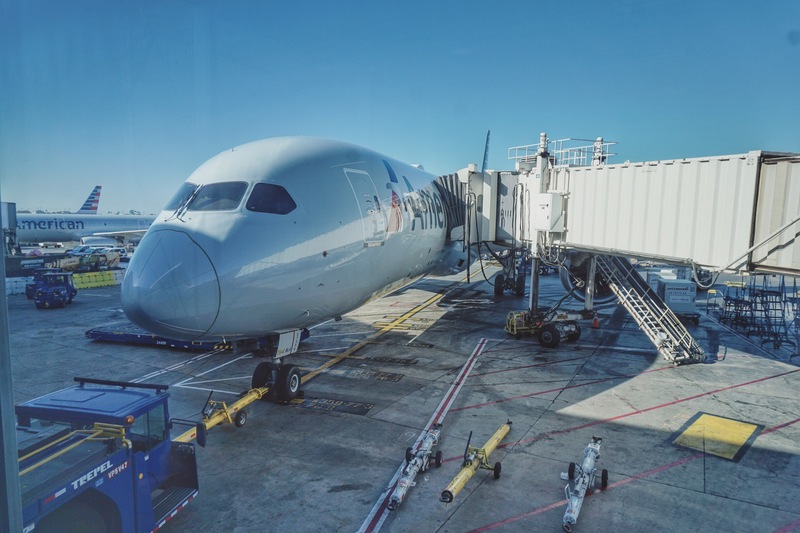 I had the pleasure of flying aboard American Airline’s inaugural domestic 787-9 flight this week from Dallas to Los Angeles, as well as the return to Dallas on the same aircract. 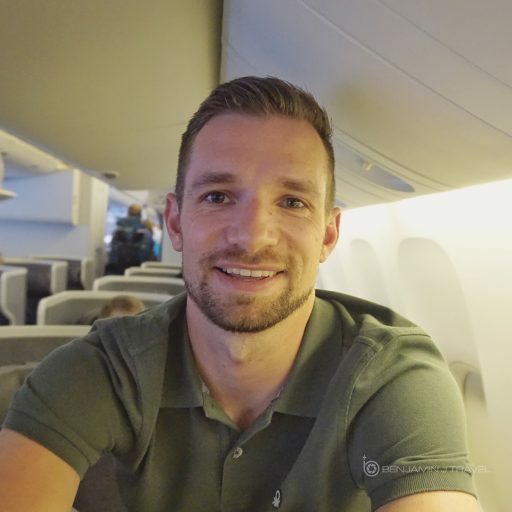 Sitting in the 787-9 Premium Economy cabin, I was fortunate enough to be one of the first passengers to try American’s Premium Economy seat. 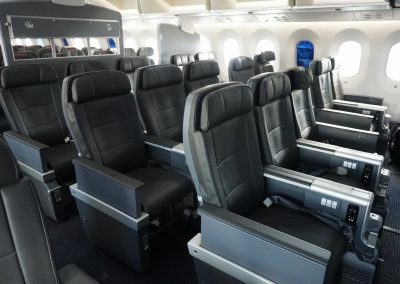 American was not only launching a new aircraft type with 787-9, but it’s also the first plane with American’s new Premium Economy product installed. There was a little bit extra fanfare on today’s flight but nothing too spectacular. This isn’t a new route for American of course and it’s the second version of the 787 that American has introduced. I expected a bit more fanfare from American Airlines on this flight but things were pretty much business as usual. The crew however was extra cheerful and several announcements were made on-board recognizing the significance of this flight. As expected, the flight was full of bloggers and aviation geeks on both the outbound and return. On this outbound flight from DFW to LAX, I was seated by the window in 11L. On the return, I was seated in 11J, an aisle seat. 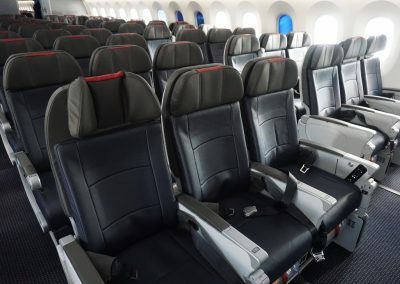 The Premium Economy cabin is three rows in a 2-3-2 configurations for a total of 21 Premium Economy seats. The Premium Economy section is located directly behind Business Class and the main boarding door. 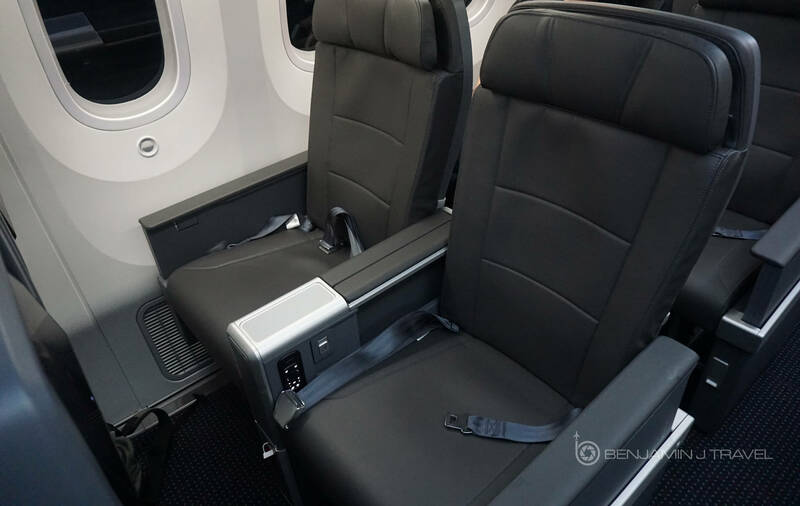 A privacy curtain will ultimately separate the Premium Economy cabin from the main cabin but on this domestic flight, the curtain was removed. 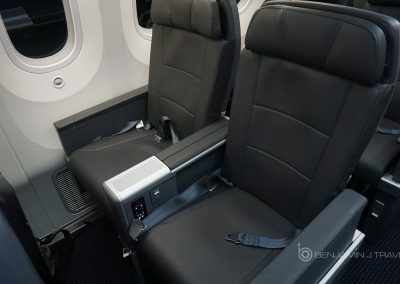 The Premium Economy seat is very similar to a domestic First Class seat with comparable width, legroom, and recline. There is an addition of a foot rest at each seat. 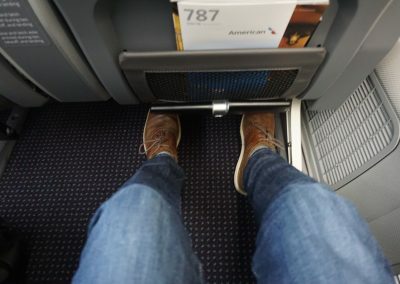 In the front bulkhead row, there is a leg rest instead of a foot rest. 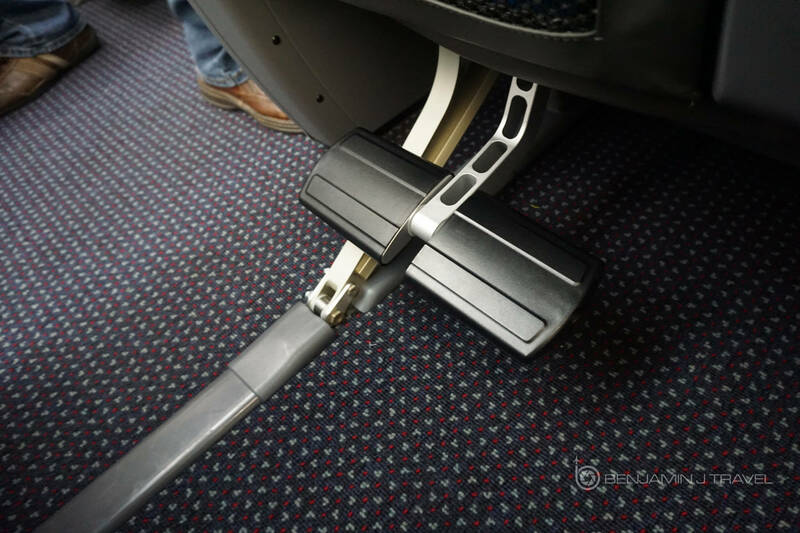 The foot rest adds a bit of extra comfort by elevating your legs but for me, it has the added bonus of keeping my shoes off my small carry-on bag. 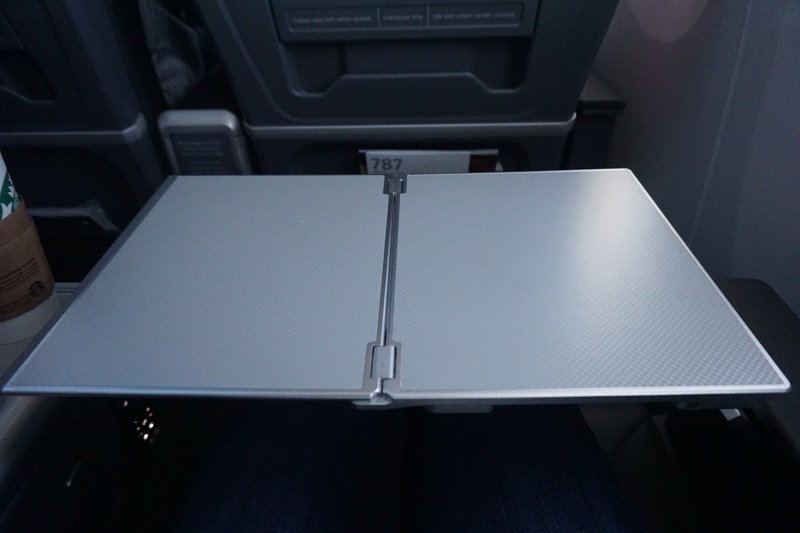 The tray tables are a tad larger than a standard economy tray table and are located in the arm rest. 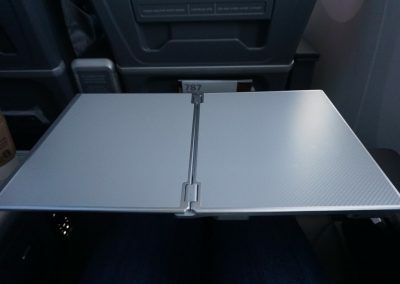 The tray table have a nice button to easily pop the tray table out. 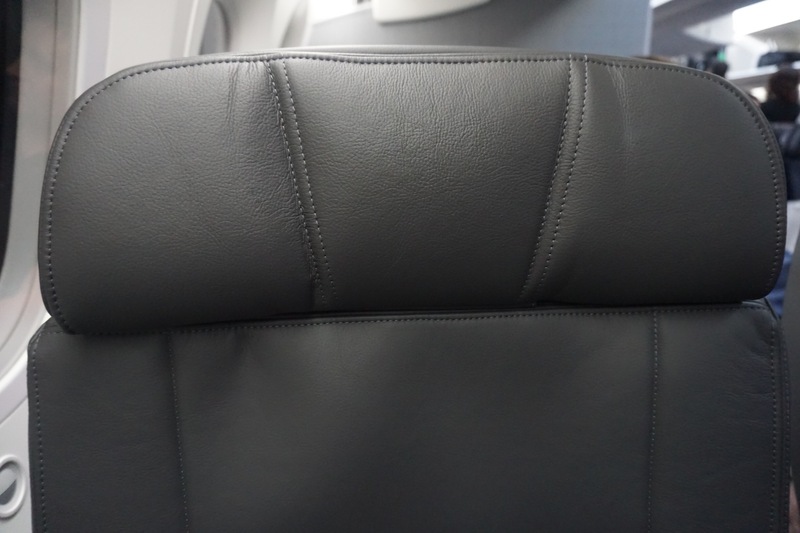 The outward facing arm rest also raises and lowers for preference. 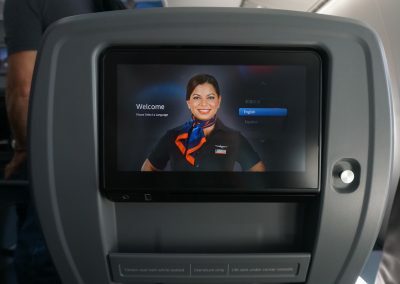 The IFE is similar to that of American’s other new-ish planes: The A321, 777-300ER, and 787-8. 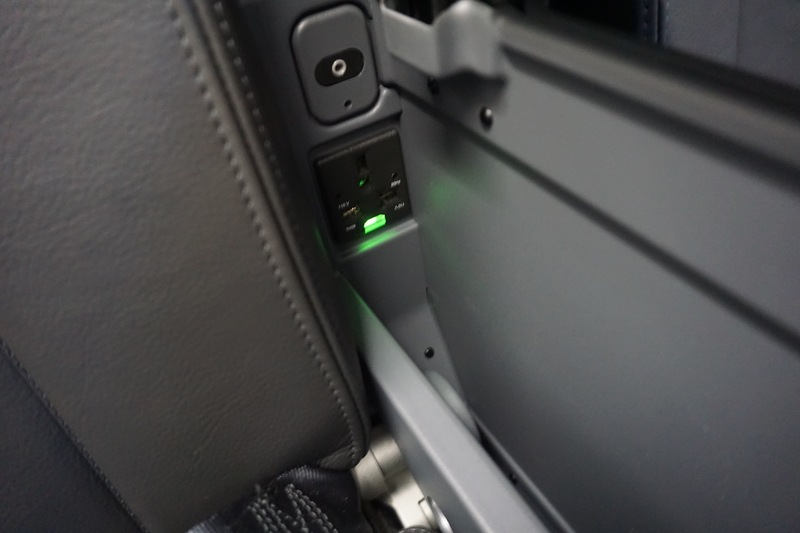 There’s USB power and an audio jack in the IFE screen but also an AC power port in the arm rest. One feature I liked about the power port is that it’s located in the center arm rest in a small storage area. I think this is more user-friendly than having it near your feet. I find it less likely to have you charger knocked out of the power port accidentally. 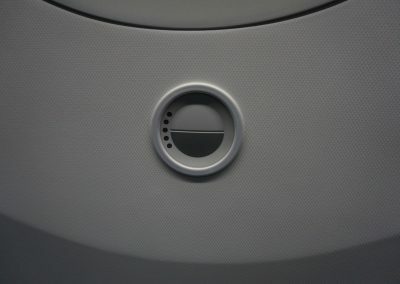 Just like all Dreamliners, there are no manual window shades but rather electronic controls to lighten or darken your window. In terms of service, expect standard economy drinks and snacks in the Premium Economy section on domestic flights. These seats will essentially be treated as Main Cabin Extra for the time being. 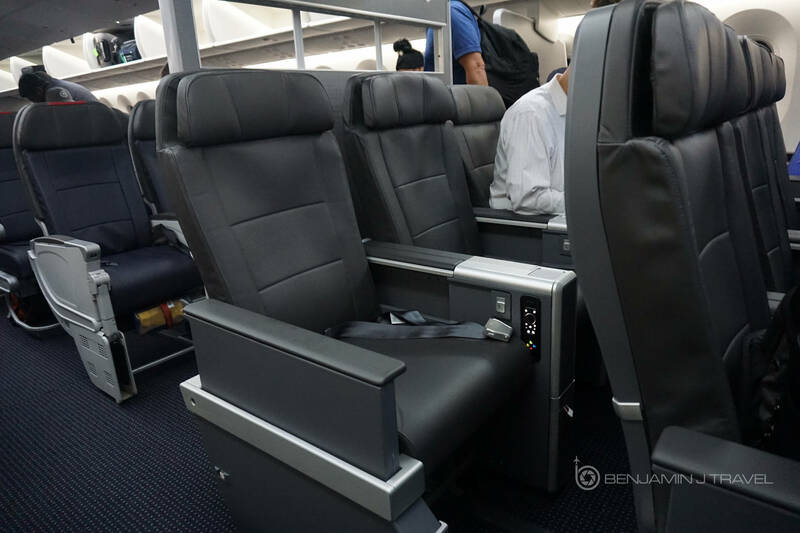 American Airlines will gradually begin to treat this product as a separate cabin and fare class for international flights. On long-haul flights, you can eventually expect an upgraded meal experience. So he final verdict? I’m impressed. 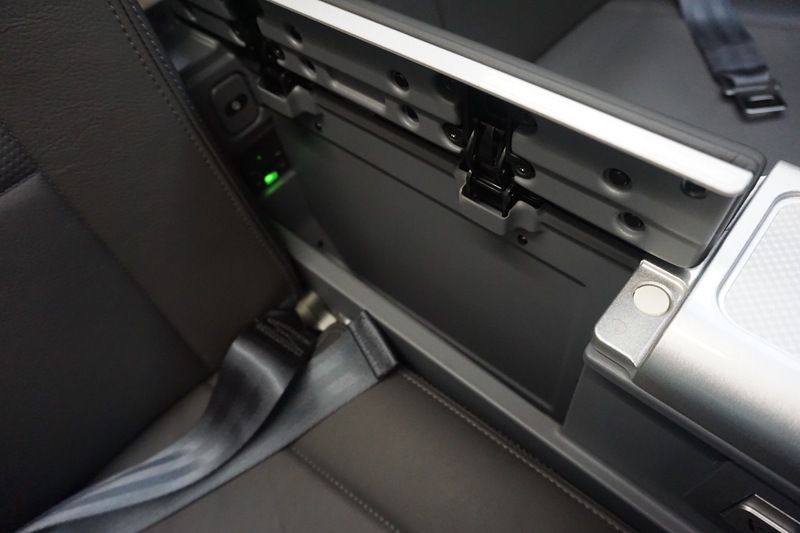 This is a thoughtful, comfortable seat with significantly more features than your standard economy seat. Yes, it’s essentially a modified domestic First Class seat. 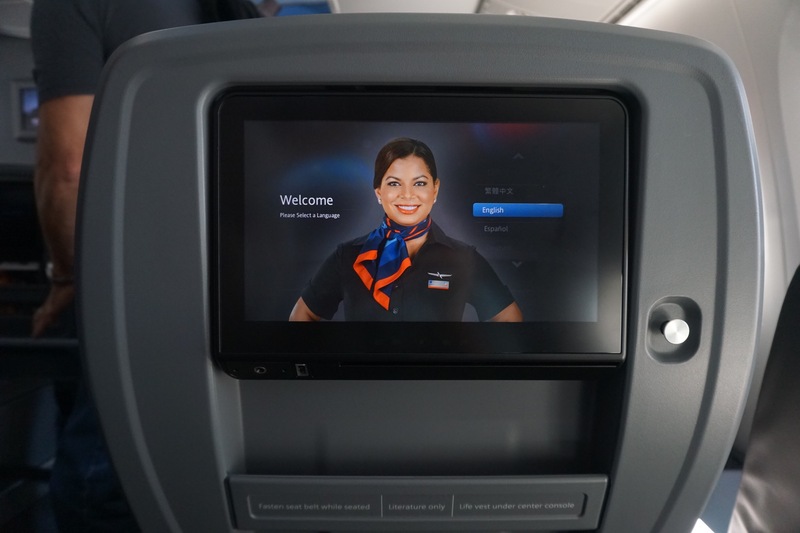 But the addition of small comforts like the foot rest and adjustable arm rests make American’s Premium Economy a nice option for long-haul travelers. 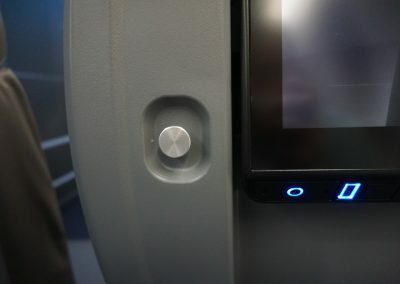 Plus, I am very pleased I was aboard the inaugural 787-9 flight for American Airlines! 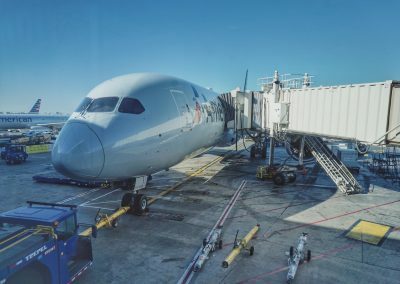 I’m also planning to be on-board the inaugural American 787-9 flight from Dallas to Madrid. On that flight I will get to experience how comfortable the seat really is on a long-haul flight! What do you think? 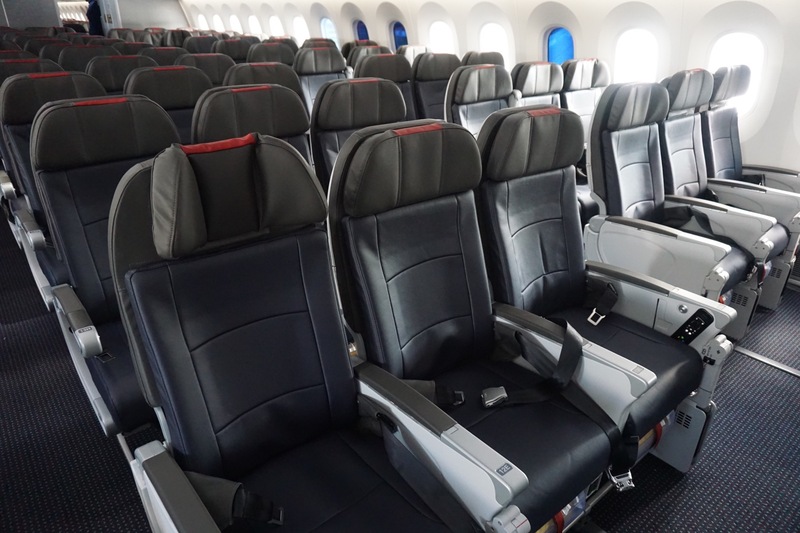 Are you excited about American’s addition of Premium Economy? Will you pay a premium for it on long-haul flights? Share your thoughts in the comments below. 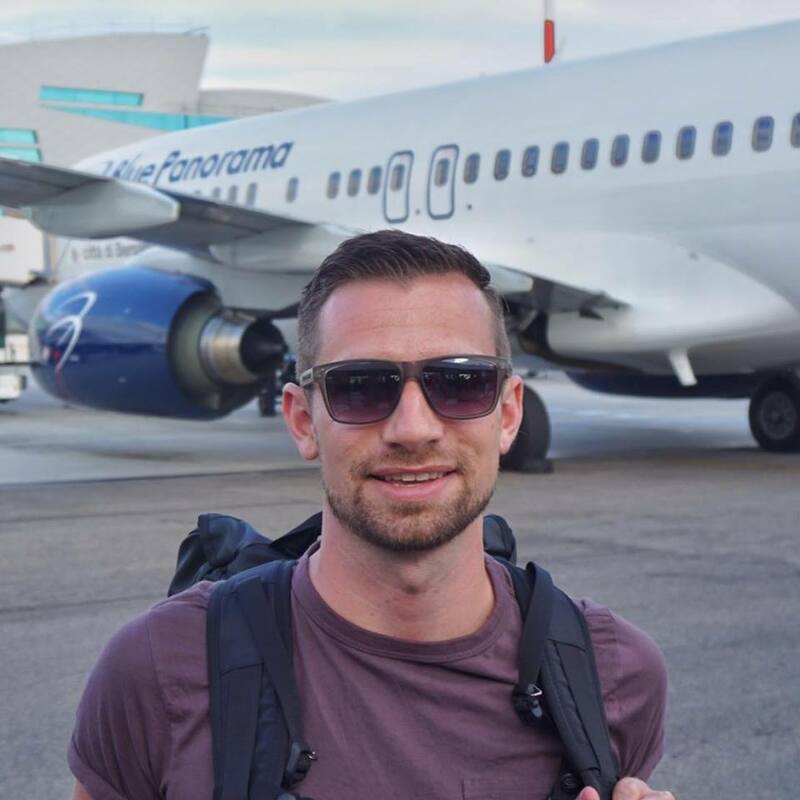 I’m not shy to admit that I am a OneWorld guy. But I feel strongly that AA has worked really hard to become a better airline over the last couple of years. But quirks can happen with any carrier. Thanks for stopping by! I am really impressed! It’s been a crazy long time since I’ve been on a plane (since before 9/11). There have been some pretty incredible improvements. I am planning a trip soon and will definitely consider AA! Wow! That’s some time! Hope you get to fly soon! Wow looks like a comfy flight, how nice to have the extra leg room!! They’ve got some great new planes in the fleet! Looks like some comfy seats! Comfy indeed! I’ll be giving the seat a longer test in the coming weeks! This looks great, but as a person with low funds, I would not pay extra for these features. Seats are a definite improvement from regular economy. Will be interested to hear how the flight to Madrid goes. I was on one of their other newer planes earlier this year. The power port is everything! That looks great and comfy! Love extra leg room. Hope you gets comfy one soon! I don’t fly AA anymore. Bad experiences and worst customer service but glad that you liked the flight. Wow! This looks really comfortable. I can get on board with this economy seating. Good timing. While reading your blog, I am actually waiting to board on AA flight. 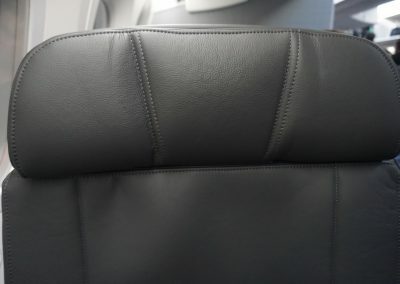 I have an economy seat. I hope they will be as comfy as this. Looks great! We fly mostly SW but will keep this in mind for future travel. I’ve got a couple of Southwest flights coming up myself! How cool to be on a brand new plane! This looks awesome! I haven’t flown for a while – 3 kids and all. This definitely looks like a huge improvement. I normally fly SW, but this new change to AA looks very nice. I hate being cramped in a plane, so it’s nice to see there’s extra leg room. I love the screen in the seat! That looks very neat, i am glad to hear good words about AA.Last time we flew AA we had horrible experience. Unfortunately we all have bad experiences with airlines from time to time. I think for a long haul flight, I’d quite enjoy Premium Economy! I leg the additions made to the chairs, I think although they aren’t necessities, they’ll definitely add to the luxury feel. 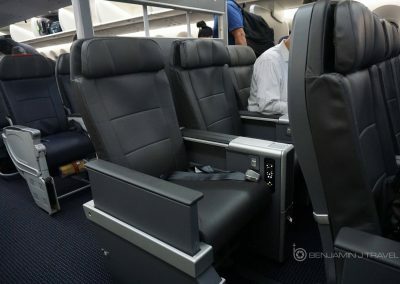 The seats look incredibly comfortable and the leg room looks better! I don’t travel on AA that often as I gravitate to Air Canada over here, but now I may consider it! 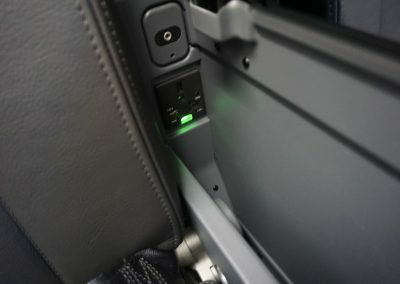 The power port is a great feature for long flights! No more searching for an outlet during layovers! In-flight power is always appreciated! Must have been a great experience formyou, new craft, wow, blessings. wow this looks way more comfy that my othetr AA expereinces. thanks for sharing. Hope you get to try their new product soon! It’s a great addition to the the fleet! I have never been on AA, This looks really good. You’ll have to check them out! They’re new planes are a welcome improvement. 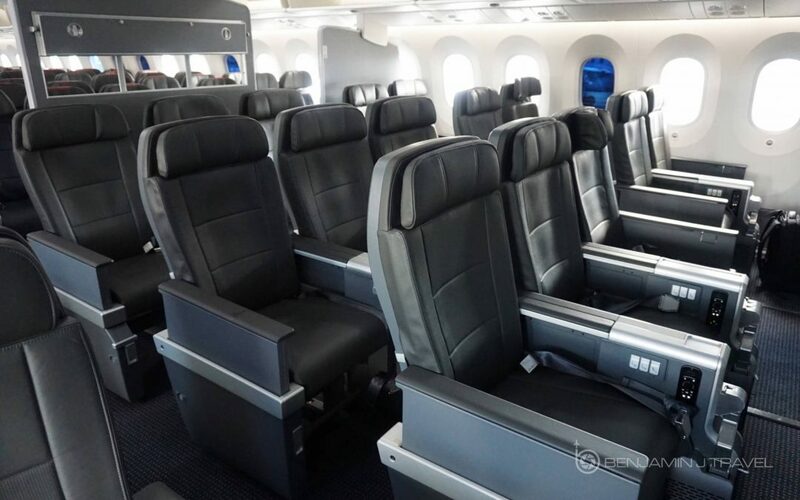 Wow…those seats look amazing compared to the typical airplane seat! haha Love all the little extras, too! Do you have any pictures of the front row with the extendable leg rest? I wonder if it gives the same leg room, or if it’s like domestic first where you can’t stretch your log on the bulkhead seat. 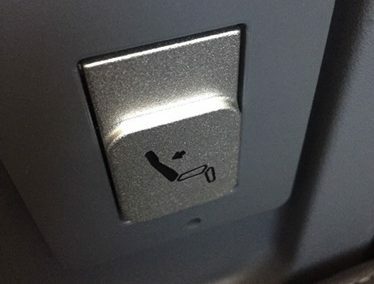 I’ve got a trip coming up to Brazil and I’m contemplating saving some miles and getting this seat instead of business class. Great review btw! Thanks! Thanks, André. 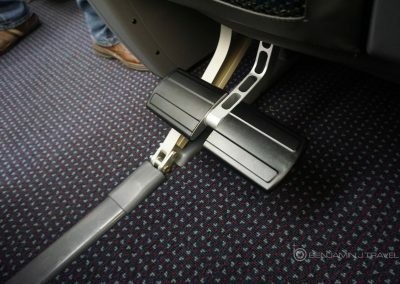 I did not snap any photos of the leg rests but they are similar to those on JAL Premium Economy which I flew to Asia last year. 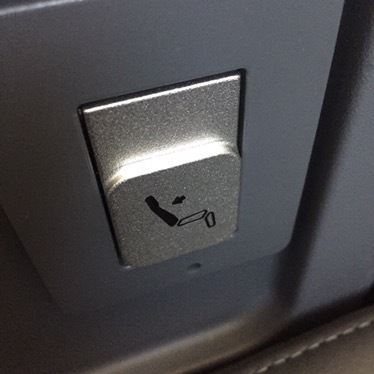 I think it’s a nice compromise between Coach and Business if you want to save some miles. 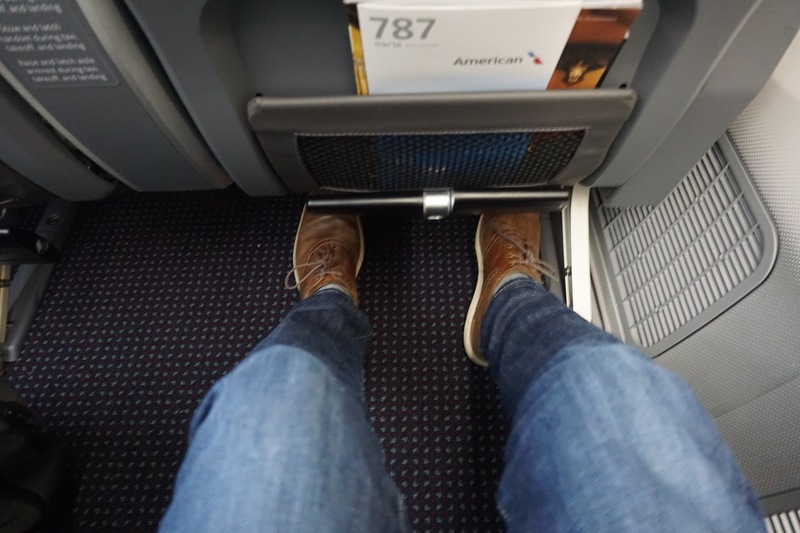 Legroom is very close to AA’s Domestic First Class.